Dear handball friends, after the great success of the first two IHF Men’s Emerging Nations Championships in Europe, it is now Colombia’s time to shine in the spotlight of international handball as the country hosts the first-ever IHF South and Central American Men’s Emerging Nations Championship. As the Emerging Nations Championships in Kosovo and Bulgaria have shown, the event has a lot to offer as all teams are given the chance to compete and gain valuable experience at international level on the one hand and exchange with athletes from all over the continent on the other. 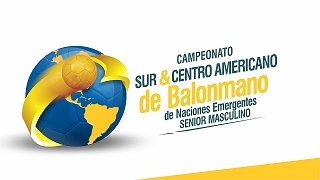 Twelve nations from South and Central America will face each other in Palmira, western Colombia, to fight for the trophy and the honours of winning the maiden edition of the IHF South and Central American Men’s Emerging Nations Championship. Of course, every team want to go down in history and give their best to go all the way so that we can expect nail-biting matches and a thrilling event. As the event will bring handball in the focus of fans, sponsors and media once more, I hope that this competition is another great step for the development and promotion of handball not only in Colombia but in the entire South and Central American continent. I wish all participating teams the best of luck and a good time ahead. We look forward to an exciting competition in the spirit of fair play. May the best team win!